throughout Austria – and is one of the top addresses of international Recreation. Winter visitors can expect a wealth of opportunities – for example cross-country skiing, alpine skiing, sledding or winter hiking. The local mountains Kitzsteinhorn (3203 meter glacier ski area) and Schmittenhöhe (1965 meters) are an ideal terrain for descents in the deepest powder snow. make the region so diverse. In summer, numerous hiking and walking trails in the beautiful mountains invite Hikers. For cooling off on hot summer days water sports on the Zeller See, which has drinking water quality, invites you.  For golf lovers, the golf course of the Golf Club Zell am See – Kaprun features a 36 hole course. 5 other courses are in the immediate vicinity. The Tauern Spa World Kaprun is an absolute asset to the surrounding area and its guests. Restaurant, 12 outdoor and indoor water worlds, sauna landscapes and fitness zones are directly available for visitors. The complex has approx. 48,000 m² to enjoy a fun spa day. Kaprun – 3000 inhabitants, altitude 786 m.